I think consistently adding good contentvia a well-written blog is one of the best ways to attract traffic. 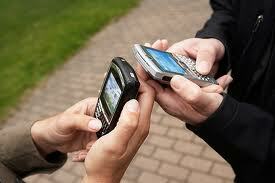 While onyour site, visitors see who you are and that you have information that theyfind interesting. That’s the point, along with encouraging visitors tosubscribe to your email list so you have the chance to notify them withoutbeing aggressive.Every post allows another path to yoursite. Attracting readers is one of the best reasons to blog, but there areothers. Here are some pros and cons of blogging. A lot of people think there are to many blogger and you really can’t compete. Peoplethink if you if you start a blog your voice will be lost on the and more thanlikely will not get attention. I disagree. I think any blog can thrive, if you’redetermined and persistent and put your time to it. Don’t let the competition scare you off. Potential bloggers read these myths anddecide it’s too much work. They come to the conclusion blogging isn’t for them.Although best practices do exist, there is no right way to blog. What works forone may not work for another. In the past, experts insisted that bloggers must post at least three times aweek to be successful, but that rule is dead. People are overwhelmed withemail, and bloggers who over-share can drive subscribers away. They’ll leaveyou. So post less, be consistent about when you publish new posts, and makeyour content top-notch. It works. The goal is to be consistent, helpful,entertaining, inspiring, or educational, and not to wear your readers out.Don’t fret about the length or frequency of your posting schedule. Naysayers argue that blogging takes too much time. If you categorize writingposts as a stand-alone activity, this statement may be true. Writing weekly blog posts helped me become a better, faster, more confidentblog post writer. That translated into being a better, faster, more confidentand well-rounded writer overall. Writing blog posts has improved my fiction. You’ll meet readers, authors, and other bloggers as you write, publish, promoteyour blog, and invite guest bloggers to set up shop on your website. Your blog can help you learn about social media, blog promotion, and websitedevelopment on a small scale at your own pace, as you build your blog and learnto effectively promote your posts – and your website – via social mediaplatforms. I think as you start to blog you will feel as if you don’t have much to say. I think you willlearn to approach it creatively. I think you canbuild your blogging onto another network such as facebook or twitter etc andallow it to build. The spring semester is finally coming to a close and The Communication Studies Club has only a few events left to be involved in before the end of the academic year! Hope you’re all having an awesome week so far! I would like to make one brief announcement for all members: These are the last three events we will have this semester and they are events that you as a members chose to participate in. I expect to see every member volunteering for one time slot on each day. We all know that we’re one of the smaller clubs on campus and the e-board members cannot be there all day. There’s a difference between being a member and being an active member and I really would LOVE for you all to be involved with these last few events! Being that most of our members are graduating next month, this makes it a perfect way to spend time with them before they leave us! The weather forecast for Wednesday and Thursday will be perfect for hanging out on the student center patio and we’ve always had fun at our bake sales, so please do not forget to shoot Chelsea an email to schedule your time slot! •	For information on Organ Donor Day, click here! •	1-hour time slots are available on a first come, first serve basis and all members need to e-mail Chelsea to do so. 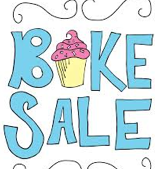 •	Volunteers are needed for baked goods & for sales – If you contribute a baked good, this does not mean you are excused from volunteering to sit at the table and fundraise! This event was created solely for the CSC, so we are asking ALL members to please participate in this event to help us raise money! 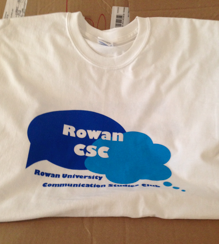 •	Being that we are selling the t-shirts this day, all members are asked to wear their CSC t-shirts from either last semester, or please contact Alison if you would like one with the new designs -- $12.00 per shirt and all sizes are available. These last few weeks will be a fun way to end the semester and we’re all looking forward to spending some time together as a club, before graduation! One last note to all 2014-2015 E-board members: Please get in touch with the board member who’s office you will be taking over to discuss any important pieces of information they need to share with you! We want to make this transition smooth and easy for all of you. If you didnt know RU Spring Carnival is next Thursday April 10th from 10:30- 4:30. 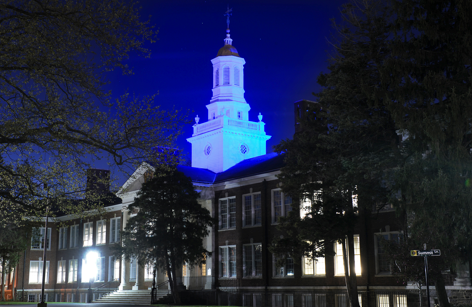 There will be alot of diffrent events going on for the everybody at rowan to get involved. 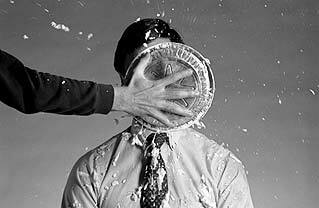 The Comm Studies Club will have a "Pied in the face" event going on and everybody is welcome to join us for fun. It will be a great day and hopefully a warm one. Also, for any members in the club who would like to volunteer let one of the E- Board members you will like too. Hopefully we see everybody there and we enjoy RU Spring Carnival 2014 ! Also, We will be having a raffle for Organ Donor Day Wenseday April 9th and doing a raffle gift card basket that will be donated for a great cause and a person will have the chance to win the basket. For the members in the Comm Studies Club Please make sure you have your $10 gift cards no later than monday ! 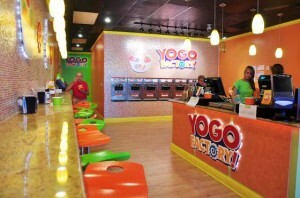 Another reminder, Yogo Fundraiser for Autism Awareness is tommorow Friday, April 4th from 6:00pm-8:00pmin Glassboro NJ. Bring your friends, families, tell another person to tell another person ! It will be fun, Don't miss out !! Thank you to the current E-board members: Taylor, Maria, Alison and Chelsea! You all have worked so hard into building and developing the Communication Studies Club and you’ve done an amazing job at leading this club into what it is today. We would all like to thank you for you wonderful leadership skills! The CSC plaque is complete! 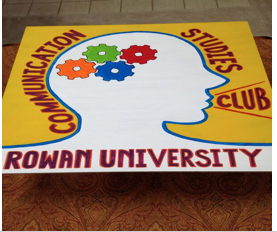 It looks amazing and we can’t wait to see it hung up in the Student Center! Thank you to all of those that helped in and outside of the Club. A special thank you goes out to Amanda Kuster and Chelsea Granato (and her mom). The club will be notified when you can go snap a picture of it hanging up in the Student Center! 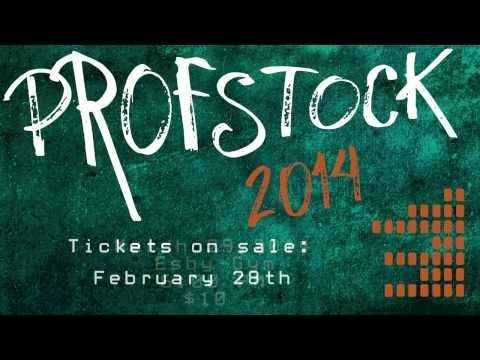 -Saturday March 29th is Profstock! Tickets are $10 & sold at the Student Center info desk! We’re getting together before the concert and to get more info please go and add yourself to the Facebook invite here: https://www.facebook.com/events/234160880122601/?notif_t=plan_user_invited Join It! 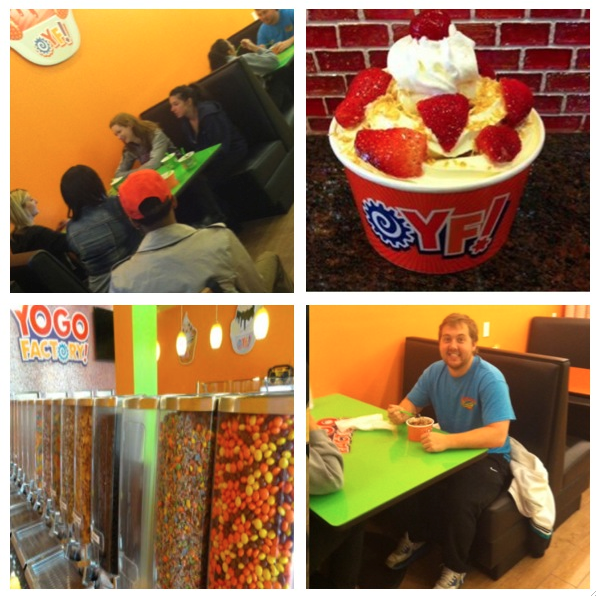 -Friday April 4th 6pm – 9pm: Yogo Fundraiser for Autism Awareness: Remember that every member MUST participate in at least one service project per semester in order to keep membership. This event will be coordinated with Lambda Pi Eta, so it is a great networking opportunity and a great cause! -Wednesday April 9th: Organ Donor Day – The CSC will be raffling off a gift card basket to benefit the Organ Donor Day charity. Sign-ups will be this week for volunteer times. We ask that members pair up in groups of two and together a $10 gift card of your choice (that means $5 each per member). -Thursday April 10th: Spring Carnival from 10:30-4:30 and we’ll be doing pies to the face! Raffle tickets will be bought before any person is allowed to pie another and we will choose a winner of those tickets for a $20 Landmark gift card. -Wednesday April 16th: Grad School Seminar! Also Pop Culture Night will be cancelled because we've got a lot of other things going on! Don’t forget meeting tomorrow at 7:30pm in Bozorth 107! The Comm Studies Club is hoping everyone is enjoying there Spring Break 2014. Quick reminder E- BOARD ELECTIONS have been posted. We have sent everybody an email to go on and VOTE ! At the bottom of the email there is a a link to the google doc to cast your VOTE ! There is some great people in the club running for postions and every vote counts and it will be helpful if everybody participated, so we can continue to have a great E- Board making sure the club is running smoothly. On another note when we get back from enjoying our spring break we will put finish touching to our plaque and make it official so it can be hung up in the student center. 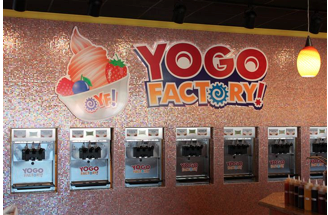 We will also be going Bowling that Friday when we get back on March 28th which we will discuss in the meeting when we return, also the trip to Yogo that will also be planned. We have alot of great stuff planned for the upcoming weeks as the rest of the semester continues. Also here's some info about class registration, etc. from Maria! Registration for the Fall 2014 semester is coming very soon! Be sure to make an appointment and meet with your faculty advisor to ensure that you are taking appropriate courses in terms of what is required, and your specific professional, personal and civic goals. If you aren't sure who your advisor is, check in the GRAD report (available via self-service). If you do not have an advisor listed in GRAD, email Ms. Esther Mummert at [email protected] She will assign you one. Meeting with your faculty advisor ensures that you stay "on track" with requirements, and provides an opportunity to discuss your goals and how the choices you make today can support you in your future tomorrow. 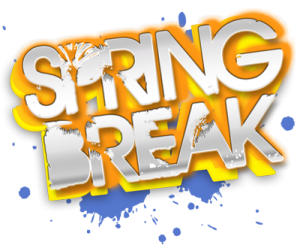 Keep enjoying your Spring Break !! We still have 3 days left ! !